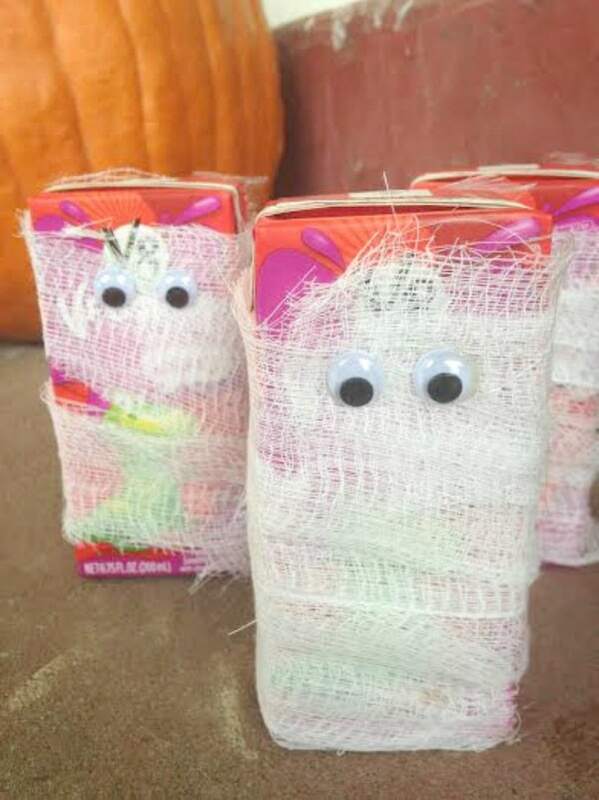 September 26, 2014 0 comments on "Mummy Juice Boxes"
These mummy juice boxes are a fun easy treat to make for your kids for Halloween. You may already have on hand everything you need to make them. Cut the cheesecloth into long strips. You will need at least 1-2 strips for each juice box. 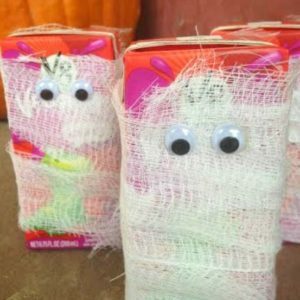 Next, wrap the strips of cheesecloth around the juice box and use the hot glue gun to glue the cheesecloth into place. Glue on the google eyes, and that’s it! This would be a fun activity for a children’s Halloween party. Like this idea? Try my recipes for candy corn punch or spider cookies.